Jo Malone’s new Wild Bluebell is a four piece collection celebrating one of the most iconic wonders of the British woodland, the English Bluebell. Synonymous with the ending of the long winter, the flower captures the imagination of anyone who encounters its magnificent carpets across the ancient woodlands of Britain. How to bottle that mesmerising sight? 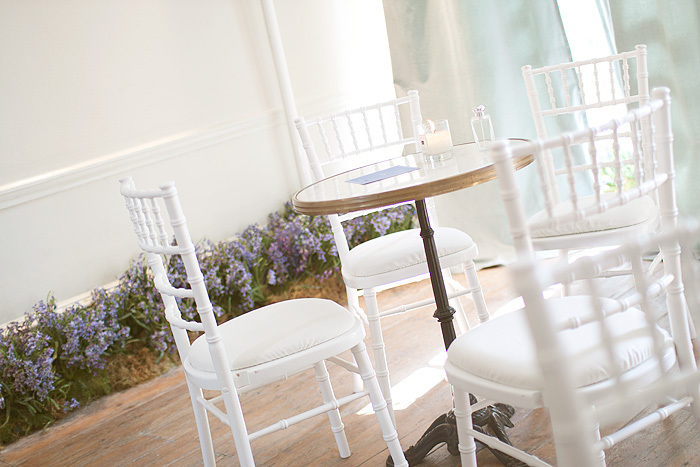 Jo Malone’s Wild Bluebell is a delicate blend of fresh bluebell (engineered) and clove with a heart of lily of the valley and jasmine alongside a base of white amber and musk. Compared to Penhaligon’s Bluebell (of which I’m a fan for its almost audacious evocation of the surroundings in which bluebells grow), this is a much lighter, easy-to-wear fragrance. 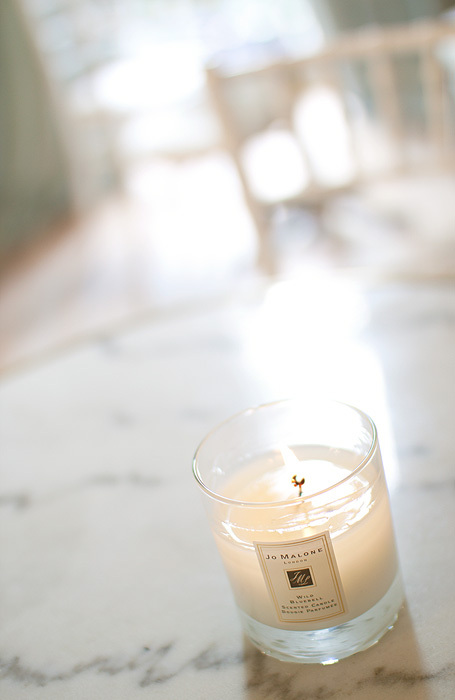 It’s gentle and playful with a hint of juxtaposition from the musk that lingers very close to the skin. Ultimately, it’s a green floral with a hint of spice… where Penhaligon’s is a confrontation, Jo Malone’s is more a sweet echo. 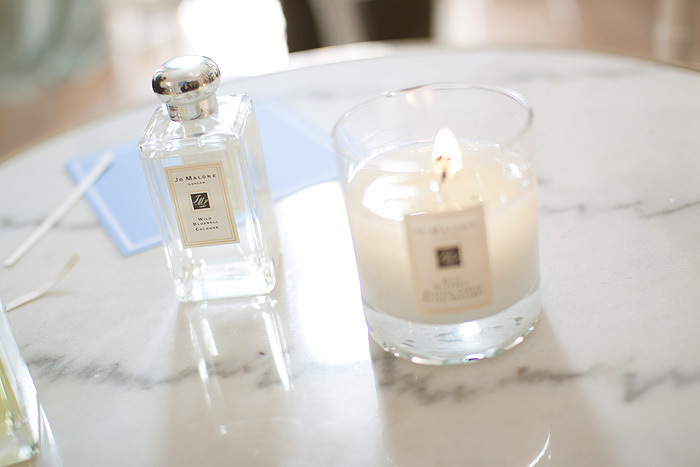 The launch took place at the end of last month in a beautifully restored Georgian townhouse that demonstrated the spirit of the fragrance beautifully. 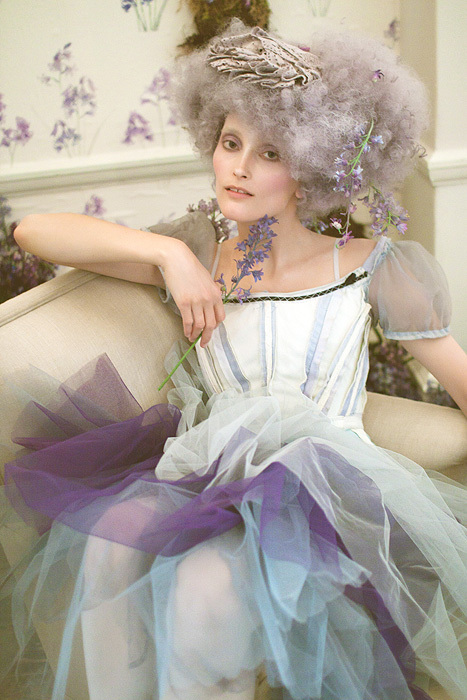 I was introduced to Wild Bluebell herself, the fragrance personified… a whimsical character with more than just a hint of the woodland nymph about her. 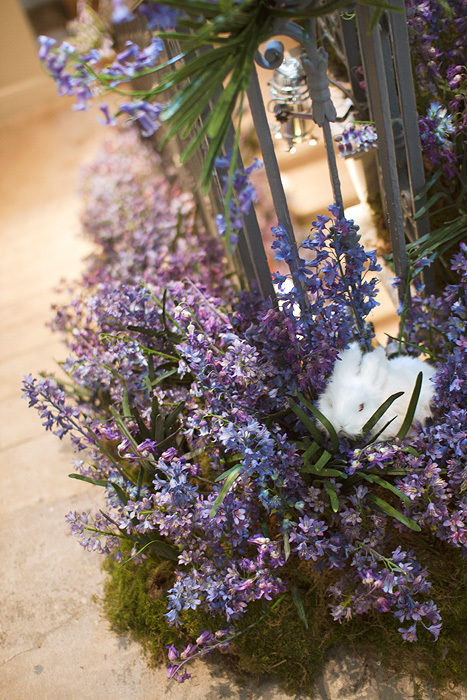 I’ll leave you with a couple more photos from the launch, the brand had commandeered the global stock of faux bluebells for the occasion, not to mention the scarily realistic bunnies found frolicking amongst the flowers. It was like stepping through the looking glass! The Jo Malone Wild Bluebell collection will be available from September and include the Cologne (£36/£72), Body & Hand Wash (£30), Body Creme (£48) and Home Candle (£38). The model in the first picture looks dead. Wonder if the bunnies killed her? Sorry, bit random, lol. That being said, I love Jo Malone fragrances (already own English Pear & Freesia) so will be hotly anticipating the launch of this one. Thanks for the heads up, love your blog too much Charlotte! I love the first and fourth image. 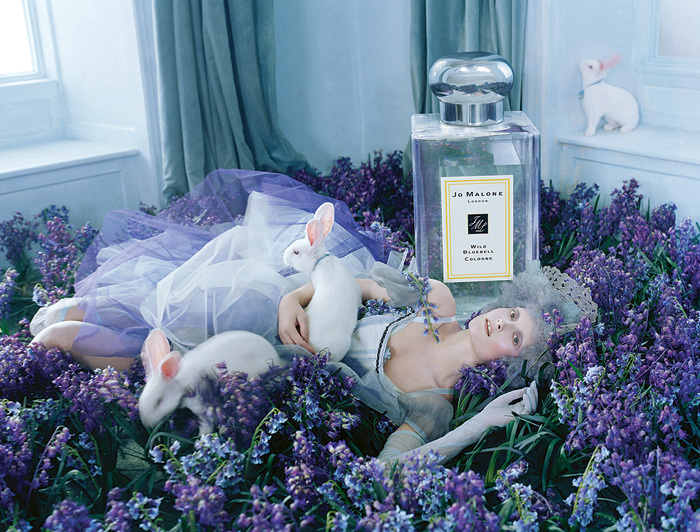 The abundance of bluebells and the white bunnies with blue ribbons are so pretty and feminine- exactly what I think a perfume should be! That is so cute!!! Thanks for sharing!!! I *want* one of those bunnies! Awww I love your review on Wild Bluebell cologne. I went to the launch last month but the freak of nature had ruined my sense of smell cos I was drenched in acid rain…so I couldn’t smell the fragrance Lol. Ironic that the swathes of bluebells in the photos are the vulgar Spanish variety, and not wild bluebells. I’ve just my bottle and I’m in LOVE!